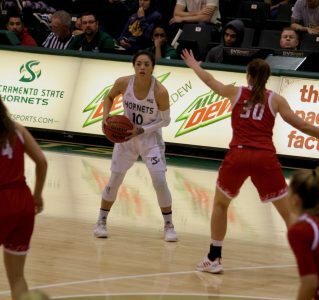 Sac State junior guard Tiara Scott looks for an open teammate in the Hornets 65-61 win over Northern Arizona on Thursday. 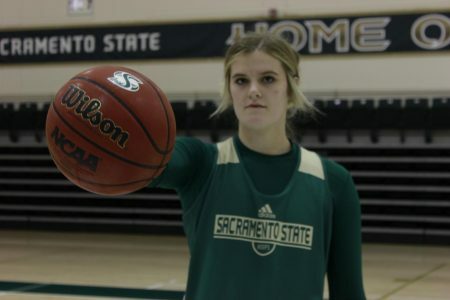 As hundreds of children cheered them on, the Sacramento State women’s basketball team got their first Big Sky Conference win of the season Thursday. 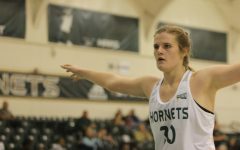 The Hornets (5-8, 1-4 Big Sky) ended their four-game losing-streak with a 65-61 win over the Northern Arizona Lumberjacks (5-10, 1-5 Big Sky). Thursday was Field Trip Day at the Nest, which brought hundreds of elementary school students on a trip to see the game. Some members of the team said they noticed the energy level of the crowd and fed off it from the start of the game. 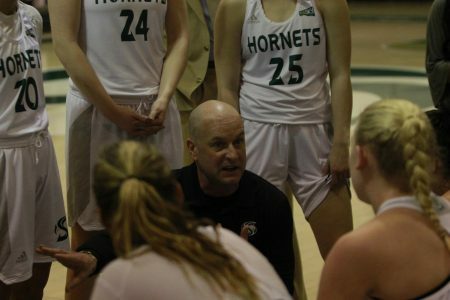 In their last game, the Hornets were soundly defeated on the road at Idaho State 73-43. 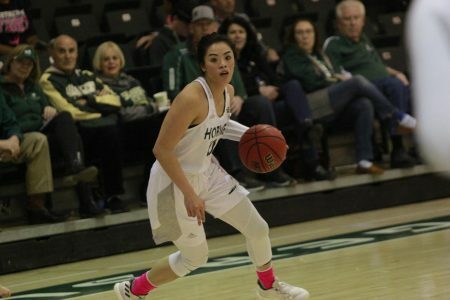 The Bengals, one of the best defensive teams in the Big Sky, held the Hornets to only 26 points in the first half, and led by 17 points at halftime. 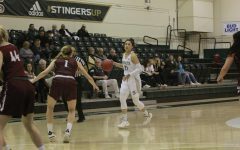 Idaho State nearly held the Hornets scoreless in the third period as their only basket came from freshman guard Summer Menke who hit a three-pointer as time expired to end the third quarter. The Hornets have been plagued by one bad quarter in several games so far this season which had led to the losing streak. 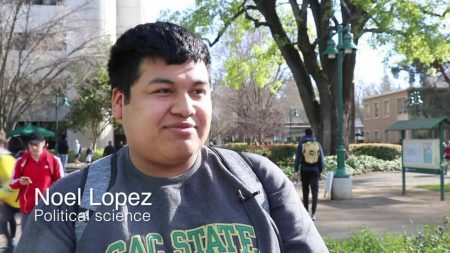 Sac State came into Thursday’s contest losers of seven of their last eight games. 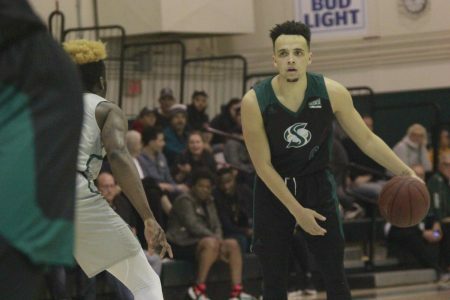 It had been over a month since the Hornets last home win, coming against the University of Antelope Valley on Dec. 2. Following a brief change, the Hornets went back to playing “Bunky Ball” with group substitutions in Thursday’s game. 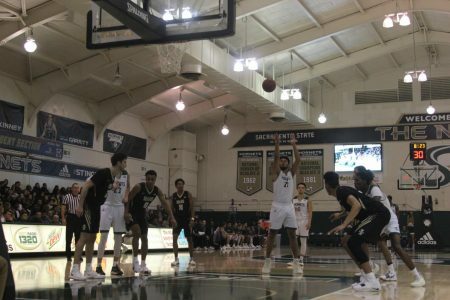 Sac State came out aggressive in the first quarter Thursday, outscoring the Lumberjacks 23-12. 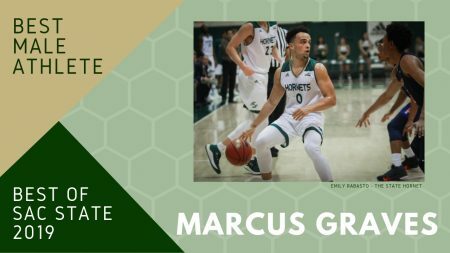 After being outscored in the second quarter 16-13, the Hornets held a 36-28 lead at halftime. 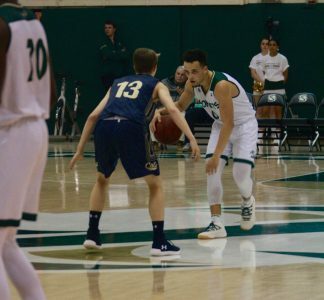 The Hornets single-quarter woes appeared to resurface in Thursday’s game as they were outscored 21-14 by NAU in the third quarter. The Lumberjacks trimmed the lead to one point heading into the final period. 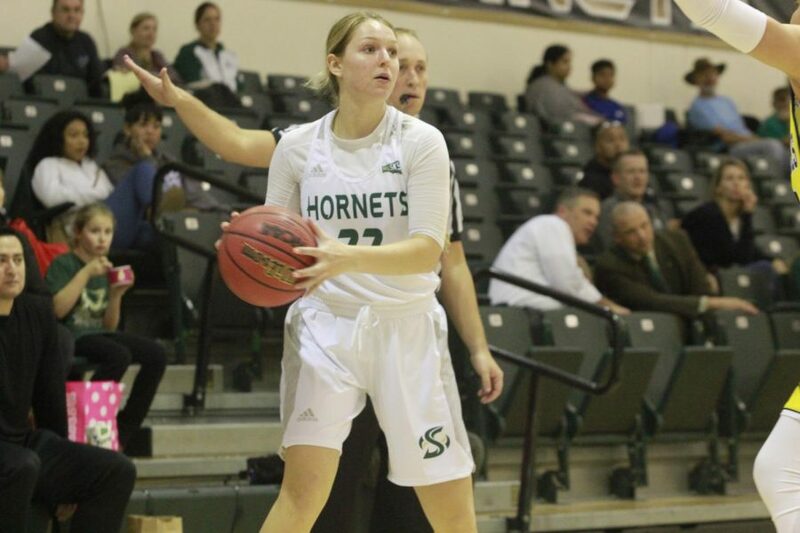 Sac State freshman guard Sarah Abney looks to pass to a teammate in the Hornets 65-61 win over Northern Arizona on Thursday. To begin the fourth quarter, Sac State went on a 7-0 run to retake an 8-point lead. 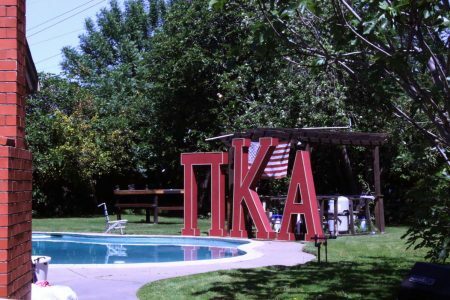 The lead was quickly erased as the Lumberjacks got right back in it and trailed 58-56 with four minutes remaining in the game. Friend came in clutch with two crucial possessions at the end of the game. Following a turnover from junior guard Tiara Scott, Friend hustled down the court to get a LeBron James-esque chasedown block. 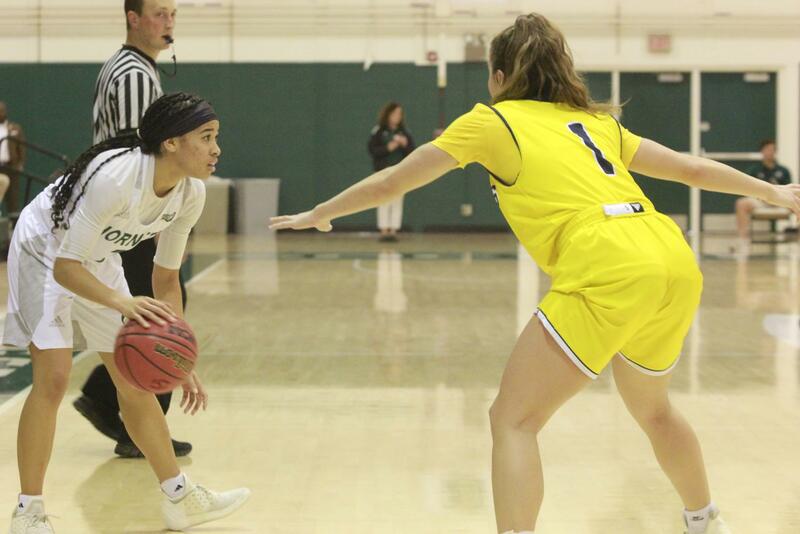 The Lumberjacks retained possession and tried to inbound the ball to score the go-ahead basket until junior guard Gabi Bade deflected the pass back into the hands of a NAU player who was still standing out of bounds. 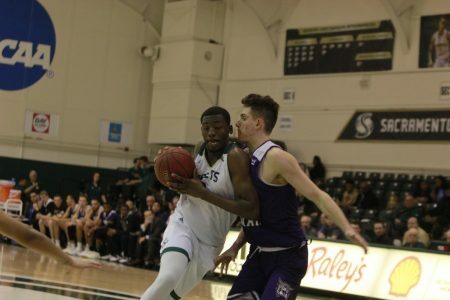 Sac State took possession and passed the ball around to drain clock as the Lumberjacks tried to trap and get the steal. With the shot-clock winding now, Friend drove to the basket, made the layup and drew the foul. She made the corresponding free-throw to all but ice the game for her team, putting them up by four points with 8.5 seconds left. Friend and Nicholas both had a double-double as they led their team to the much-needed win. Friend led her team in scoring once again with 19 points on 7-17 shooting from the field and 3-8 from three, while adding 11 rebounds. Nicholas had 14 points, 10 rebounds (4 offensive), 4 blocks and 3 assists. Scott had a career-high 9 assists to go with 4 points. 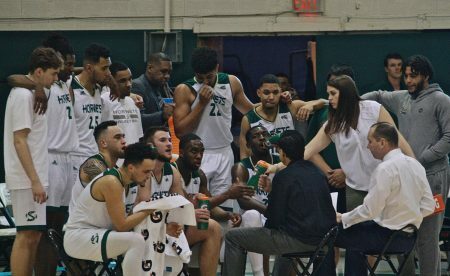 Sac State will look to make it two wins in a row Saturday when they take on the Southern Utah Lumberjacks (5-9, 2-3 Big Sky) at the Nest at 12:05 p.m.